The cherry blossom is the flower of the cherry tree, and in many countries around the world has come to symbolize the transition from winter to spring. The tree is thought to be native to the Himalayas, but is currently prevalent throughout temperate zones of the Northern Hemisphere, particularly in Europe, China, Japan, Korea, the United States, and Canada. The cherry blossom, or sakura, is the national flower of Japan, and holds a lot of symbolism in Japanese culture. The flowers represent a number of things. Due to their blooming patters, they symbolize clouds, and also stand for the transitory nature of life. Cherry blossoms also symbolize mortality, and the acceptance of destiny. Some of these beliefs are thought to have generated from Japanese Buddhism. Because of its rich symbolism, the cherry blossom is commonly featured in Japanese art, film, anime, and tattoo design. From the end of March to early May, cherry blossoms bloom throughout Japan. During this time, it is traditional to engage in hanami (flower viewing), a custom by which citizens enjoy picnics and/or parties under the blooms of the cherry tree. Some of the parties can get pretty raucous! In Vancouver, Canada cherry blossoms sometimes bloom as early as March. Vancouver boasts thousands of cherry trees (some gifted by Japan) and the city celebrates the Vancouver Cherry Blossom Festival, which offers residents fun opportunities to enjoy and appreciate the beauty of the cherry blossom. 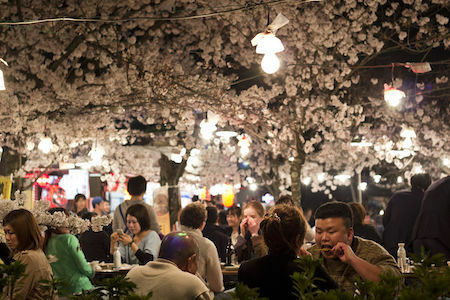 In Hamburg, Germany, the German-Japanese society organizes a large hanami, annually attended by tens of thousands of people, featuring fireworks and other celebrations. Japan gifted over 3,000 cherry trees to the United States in 1912, many of which were planted in Washington, DC. The National Cherry Blossom Festival is a popular tourist attraction. 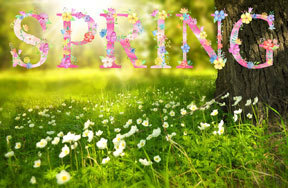 Hanami is so important in Japan that the country's meteorological society follows and broadcasts spring's warm front as it moves throughout Japan and brings out the blossoms! Cherry blossoms are so symbolic of the transient nature of beauty because their blooms only appear once a year and typically only last a week or two. 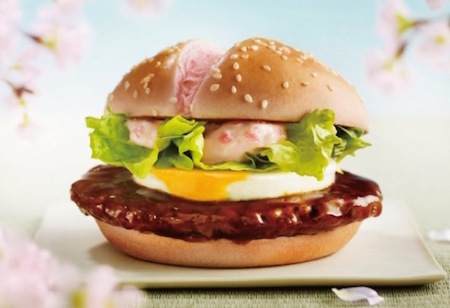 In Japan, even McDonald's has been known to celebrate cherry blossom season - one year they offered cherry blossom burgers, featuring pink buns! Macon, Georgia is actually the cherry blossom capital of the world; the city features as many as 300,000 cherry trees! 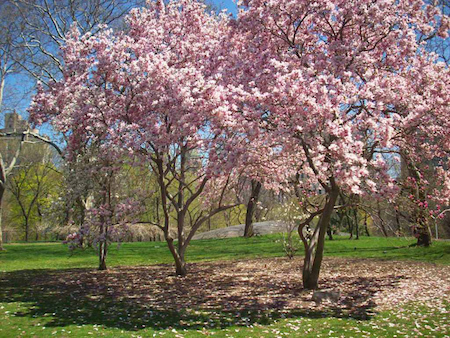 Now that you know all the special meaning that goes along with cherry blossom season, maybe you'll feel inspired to look around your city this spring and see if you can find a blooming tree to picnic under! Do you have cherry trees in your part of the world? 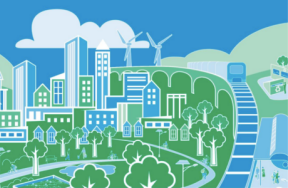 Share your experiences in our comments section! 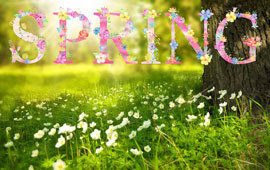 What's your fave sign of spring?